Defending champion Mitch Seavey was one of the first Iditarod mushers to reach Rohn on Monday evening, but he made the climb over Rainy Pass and the descent through Dalzell Gorge without the lead dog that helped him to victory last year. Pilot, the winner of the 2017 Golden Harness award as the race's top lead dog, was dropped in Skwentna, Seavey's son Danny reported on the ididaride.com website. Skwentna is 83 miles into the 1,000-mile race to Nome. Seventy miles later in Rainy Pass, Seavey dropped another dog, leaving him with 14 dogs. The team should be able to adjust to the loss of Pilot, the younger Seavey speculated. But how the loss impacts the team's driver is another matter. "(I)t's well known around the kennel that Mitch's mood and emotional well being are directly related to Pilot," Danny Seavey wrote. "I just got off the phone with Ryan Santiago, the teams assistant coach. He alluded to the 'only time he's seen Mitch visibly affected emotionally is if someone says anything about Pilot or his health.' So at least on that level, this will affect Mitch." 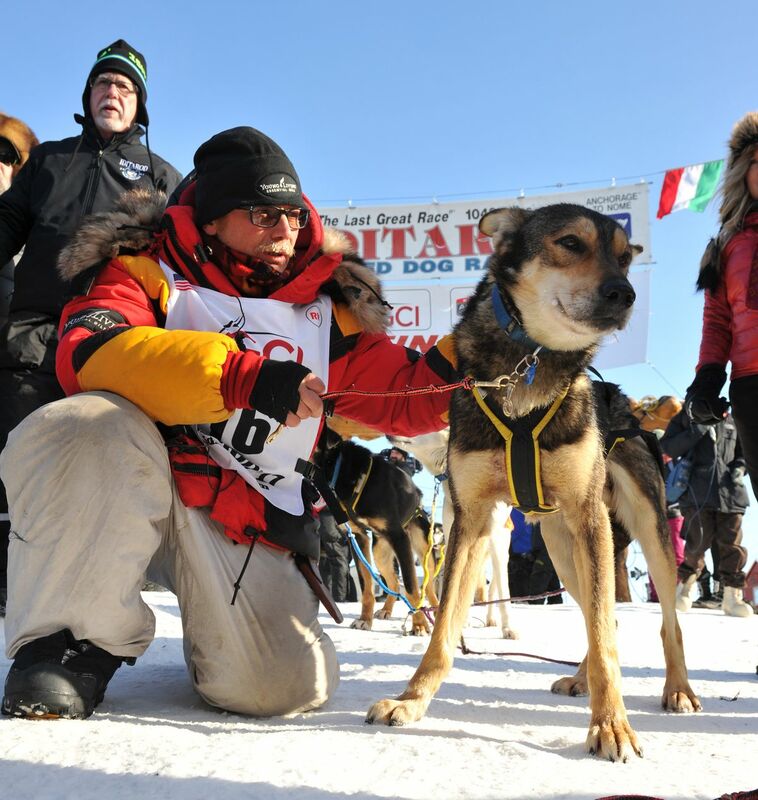 Seavey still has Crisp, his other main lead dog from last year's team, which made the fastest run to Nome in race history. It's expected that two of Pilot's litter mates, Port and Train, will join Crisp in lead now, according to Danny Seavey. Mitch Seavey was the third musher to reach Rohn on Monday night, part of a steady stream of front runners to put the Alaska Range behind them. Among the first nine mushers to reach Rohn, Seavey recorded the fastest time on the 35-mile run from Rainy Pass, doing it in 3 hours, 44 minutes. Wade Marrs and Nicolas Petit both did it in 3:54. Marrs led the way into the checkpoint at 6:45 p.m. with a team of 15 dogs, followed by Ryan Redington, who arrived nine minutes later with a team of 14. Redington stayed for 14 minutes, dropped a dog, and was back on the trail at 7:08 p.m. Seavey gave chase at 7:27 p.m.
Seavey and Petit reached Rohn within two minutes of each other, with Seavey getting there first at 7:02 p.m. Then came Ray Redington Jr. (7:22 p.m.) and Joar Ulsom (7:35 p.m.). The race saw its first scratch on Monday morning. Zoya DeNure dropped out in Skwentna, citing "personal health reasons." DeNure has finished the race twice in seven attempts.